Group Fitting - Manno Clothing & Tailoring Inc. Preparing for a wedding can contain a lot of stressful details. Fitting your groomsmen for formal attire shouldn’t be one of them. Here at Manno Clothing, we regularly assist wedding parties of all sizes, helping you craft a unique look within an affordable price point. 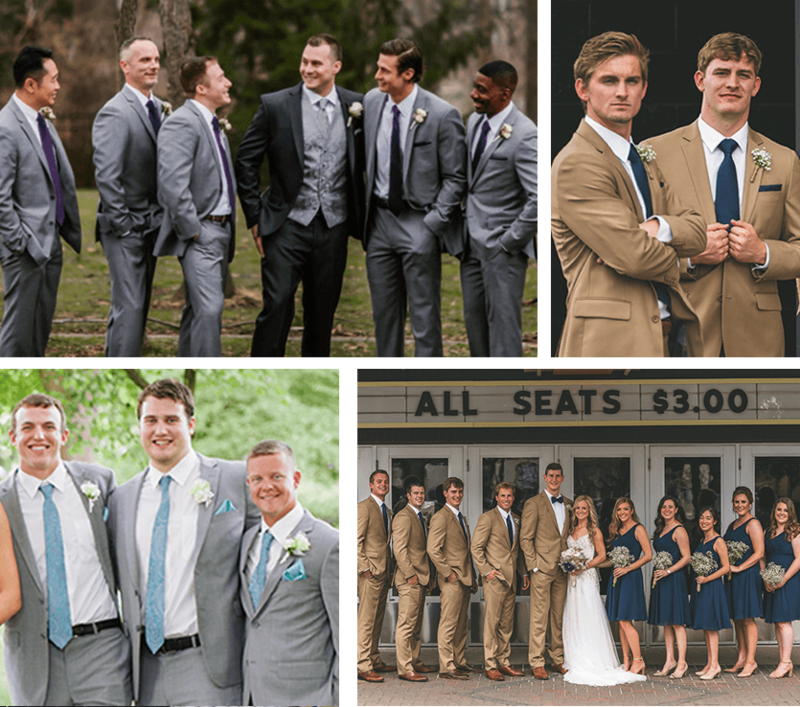 We’re happy to showcase a variety of suit and tuxedo options that are sure to wow everyone who is a part of your special day. For your wedding, treat yourself (and your groomsmen) to a gift that lasts beyond a single evening. Allow us the opportunity to help you craft a one of a kind look for your party that will undoubtedly exceed your expectations.